Upon being admitted, Jo worked as a Judges’ Associate at the District Court of South Australia. 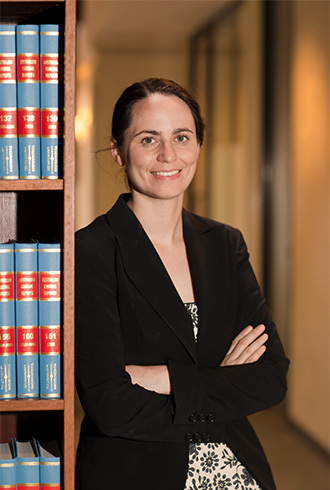 Subsequently, Jo worked at the Supreme Court of Victoria as Associate to Chief Justice Warren and Justice Sloss. Before joining the Bar, Jo worked at Griffins Lawyers in the Commercial and Civil Litigation Group. Her practice also included class actions, family law, administrative law, workers compensation, personal injury, defamation and criminal matters. Jo accepts briefs in most areas of law and appears in all major courts and tribunals.